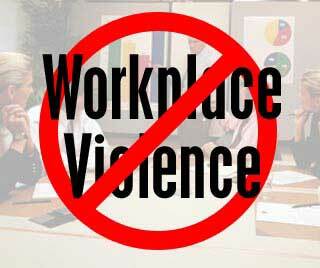 Workplace violence is violence or the threat of violence against workers. It can occur at or outside the workplace and can range from threats and verbal abuse to physical assaults and homicide. According to the National Institute for Occupational Safety and Health (NIOSH), workplace violence is any physical assault, threatening behavior or verbal abuse occurring in the work setting. It includes but is not limited to beatings, stabbing, suicides, shootings, rapes, near suicides, psychological traumas such as threats, obscene phone calls, an intimidating presence, and harassment of any nature such as being followed, sworn at or shouted at. In 2006 there were 5,840 workplace fatalities, 540 were homicides; workplace violence in its worst form. It seems incredible that nearly 10 percent of all fatalities on the job are from violent acts committed by coworkers, customers, vendors or loved ones. However it manifests itself, workplace violence is a growing concern for employers and employees nationwide, NIOSH has called it an epidemic. What can employers do to help protect employees? The best protection employers can offer is to establish a zero-tolerance policy toward workplace violence against or by their employees. The employer should establish a workplace violence prevention program. It is critical to ensure that all employees know the policy and understand that all claims of workplace violence will be investigated and remedied promptly. 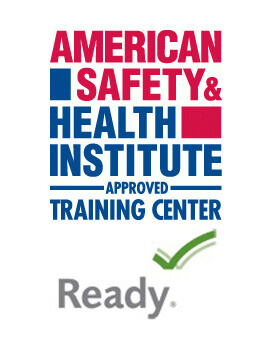 Pulse America will help you establish a workplace violence prevention program and provide safety education for your employees so they know what conduct is not acceptable, what to do if they witness or are subjected to workplace violence, and how to protect themselves. We make sure your employees learn to recognize, avoid, or diffuse potentially violent situations and to be aware of the 5 warning signs of escalating behavior. The Occupational Safety and Health Act’s (OSH Act) General Duty Clause requires employers to provide a safe and healthful workplace for all workers covered by the OSH Act. Employers who do not take reasonable steps to prevent or abate a recognized violence hazard in the workplace can be cited. If an employer that has experienced acts of workplace violence, or becomes aware of threats, intimidation or other potential indicators showing that the potential for violence in the workplace exists or has the potential to exist, would be on notice and may be required to implement a workplace violence prevention program. Failure to implement a plan may be in itself a violation of the General Duty Clause.